Quoting Mahathma Gandhi's dictum of practice is better than preaching, a Madras High Court judge on Thursday ordered installation of CCTV camera in his chamber while recommending it for offices of all higher Tamil Nadu government officials to tackle sexual harassment at work places. 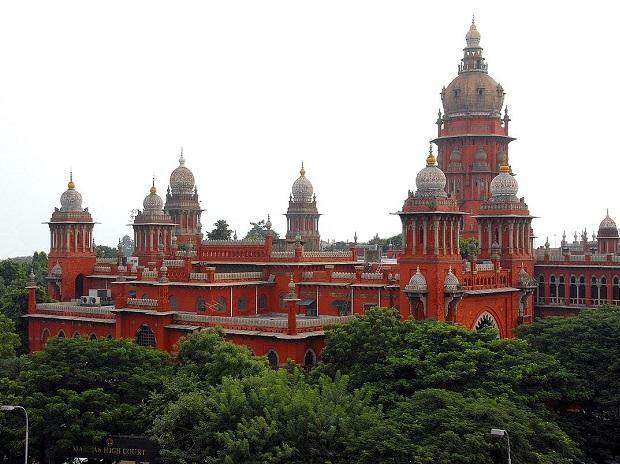 Justice S M Subramaniam directed the court registry to install the CCTV camera in his chamber within two weeks, while disposing of petitions from IPS officer S Murugan and a woman police superintendent who had made sexual harassment charges against the senior police official. In his order, the judge referred to Gandhiji's quote "An Ounce of Practice is worth more than tons of preaching." He gave the go ahead for a probe by an Internal Complaints Committee (ICC) and the CB-CID which had registered an FIR on the woman officer's complaint. Justice Subramaniam recommended to the state Chief Secretary installation of CCTV cameras inside the official chambers and office rooms of all the higher officials in order to avoid all such allegations or complaints against higher officials and to safeguard the interest of women employees from sexual harassment. The judge tasked the state Chief Secretary to initiate action against the IPS officer under the service rules which it said was necessary under the facts and circumstances of the case. The IPS official, among other things, had challenged the validity of the ICC forwarding the SP's complaint to police for registration of an FIR. On this point, the Judge in his order said the registration of an FIR cannot be found fault with. "When a woman Police Officer in the rank of Superintendent of Police is making such a statement, this court is of the considered opinion that such a statement requires a serious consideration warranting a deeper enquiry and appropriate action against the person against whom the allegation is made," the Judge said. The matter had been kept in abeyance for the past about six months unfortunately by raising the dispute regarding constitution of the ICC, the Judge noted. The woman SP in her original complaint dated Aug 4, 2018 made her intention to initiate criminal action against Murugan clear. The "employer," in this case, the Director of Vigilance and Anti-Corruption (a police wing) ought to have forwarded her complaint for registering an FIR, but contrarily the ICC forwarded it, the Judge noted. However, the procedure adopted to forward the plaint would not vitiate the FIR which only requires information. The Judge upheld the constitution of ICC and also directed it to proceed with the enquiry by following the procedures laid down in The Sexual Harassment of Women at Workplace (Prevention, Prohibition and Redressal) Act, 2013. Opportunity should be given to all the parties concerned and a report should be submitted within a period of two weeks from the date of order. The Judge also directed the CBCID to proceed in the matter as per law and commence investigation. On the probe being put in abeyance for six months by raising a dispute on the setting up of the ICC, the court said higher officials must have held an enquiry by this time and it is mandatory. A reading of the complaint disclosed allegations affecting the modesty of a woman and registration of a criminal case is "just and necessary.